This week, for the first time since the Second Temple stood in all its glory, Jews were able to walk the Temple Mount freely as Muslim authority fell away from the site, allowing both Jews and Christians to heed the call to prayer on the Mountain of God and opening up the gates of redemption. Jews inadvertently became the main presence on the Mount, something that has not happened since the destruction of the Second Temple 2,000 years ago, as a result of the misguided actions of Arab leadership following a horrifying terror attack at the Temple Mount last Friday. The global prophetic implications of the major shift on this holiest of sites, emphasized MK Yehudah Glick, an advocate of universal prayer on the Temple Mount, cannot be denied. “This was an enormous gamechanger,” he told Breaking Israel News. 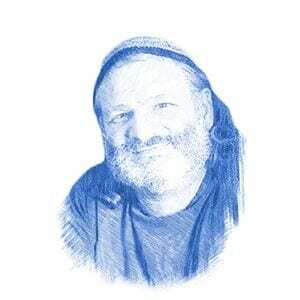 “Everything is part of the geula (redemption) process, but the things that happen on the Temple Mount are especially so. The unprecedented situation on the Temple Mount came about in the wake of an attack that bloodied the holy stones of the Mount. Three Palestinian terrorists killed two Israeli Druze policemen near the Temple Mount before being chased into the compound itself and neutralized. The Israeli government responded to the attack by closing the Temple Mount to Muslims for the first time in decades. (The Temple Mount was also closed to Jewish visitors, which is standard operating procedure after Arab violence.) 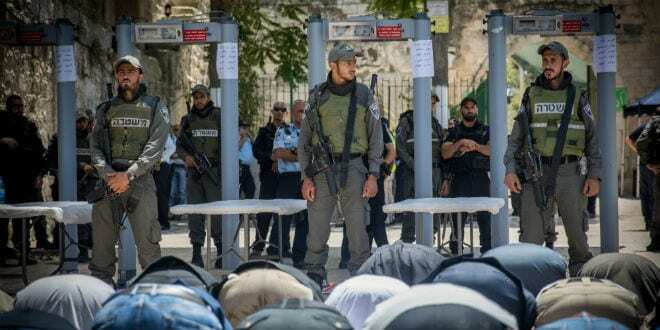 Two days later, the Temple Mount reopened with increased security measures in place for Muslims, including metal detectors of the type that have always been used to check Jewish visitors to the site. Until this recent attack, Muslims accessed the Temple Mount without undergoing any security checks. The Islamic Waqf, a Jordanian trust which controls the Temple Mount, immediately and furiously rejected the use of the detectors, calling the security measure “Israeli aggression”. Jerusalem Mufti Amin al-Husseini called for a Muslim boycott of the site and inter-Arab scuffles broke out as Waqf strongmen prevented Muslims from ascending. The sudden lack of Waqf guards and large crowds of Muslim visitors on the Temple Mount led to an unusual situation. For the first time in decades, Jews were unencumbered by Waqf guards preventing them from praying. Though the Israeli police were still ordered to stop non-Muslim prayer, many Jews were inspired to seize the rare opportunity to speak a holy word on the holy mountain. The experiences, they shared, were breathtaking. Rabbi Jeremy Gimpel, co-founder of the Land of Israel Network, was driven by the call to prayer. Early Wednesday morning, he began his preparations by bathing in a mikveh (ritual bath), noting that the day was especially significant because Jews are now in the three weeks of austerity leading up to Tisha B’Av (the Ninth of Av), a fast day commemorating the destruction of the Temples. When he arrived at the Temple Mount, he saw the site was teeming with Israeli police ready to cope with the threat of the hostile Muslim crowds surrounding it. Despite the tense situation, Rabbi Gimpel was moved by the clear atmosphere of holiness and felt compelled to prostrate himself on the stones as was required in the days of the Temple. The Israeli police followed orders and carried Rabbi Gimpel from the site. He described the awe he felt at being able to fulfill the ancient commandment of prostrating oneself before the presence of God. As Rabbi Gimpel pointed out, the potential of the situation to open up the Temple Mount to the Jews is enormous. This became clear when Knesset Member Avi Dichter (Likud) on Tuesday declared Israeli sovereignty on the Temple Mount. “Israel is the sovereign on the Temple Mount, period. The fact that the Waqf became a sovereign on the Temple Mount ended last Friday,” announced Dichter, chairman of the Knesset Foreign Affairs and Defense Committee and former head of the Israel Security Agency (Shin Bet), on Israeli public radio. But it is not only Jews who have a stake in how this situation is resolved. Jane Kiel, originally from Denmark but now known as the blogger Jerusalem Jane, is a Christian advocate for the Holy City and a frequent visitor to the Temple Mount. Her videos document the disrespect shown by Muslims visitors, who have barbecues, play soccer, pile garbage, and even urinate openly at the site. Jane was anticipating the opportunity to ascend the Temple Mount on Monday without these disturbing elements. She managed to recite the Shema (Jewish prayer accepting the yoke of heaven) despite the Israeli police monitoring the site. Jane was so moved by the experience she returned on Tuesday. But this time as she arrived at the security gates, a Waqf guard who had been monitoring the entrance approached her and told her she was not permitted to enter. This is the fourth time she has been removed from the Temple Mount as a result of her role as a Christian advocate for Jewish prayer. Perhaps the most touching testimony to Jewish prayer on the Temple Mount was the video of Aedan Sarah O’Connor, a Jewish Canadian student studying in Israel. O’Connor ascended on Monday and posted a video of herself reciting the Shema at the site to Facebook. Her video has already garnered over 27,000 views, attesting to the fact that Jews praying on the Temple Mount is of vital interest to so many. “This is my homeland, and no one can stop me from praying at my holiest site,” she proclaimed. Politically, the current situation is tenuous. Prime Minister Benjamin Netanyahu said on Sunday that while he does not intend to change the status quo, which forbids non-Muslims from praying, neither will he remove the metal detectors, creating an uncertain reality on the ground. Many worldwide are praying hard that as a result of this monumental shift, Jewish sovereignty will be established on the Mount once and for all. It is certain that if Israel retains control over the holy site, an indescribably enormous step will have been taken towards the fulfillment of the Temple’s prophesied role as a place a peace, which is unlikely to happen under Muslim rule.